Hydrotherapy utilises the properties of warm water to facilitate movement and to enhance therapeutic effects. Water reduces stress on painful soft tissues and joints. This makes it an excellent medium for controlled exercise in the treatment of various conditions as well as for general fitness programs. Outpatient hydrotherapy sessions are available on both Mondays and Thursdays. Morning sessions take place at 9.30 am while afternoon sessions commence at 1:30 pm Thursday's only. Sessions are 1 hour in duration. 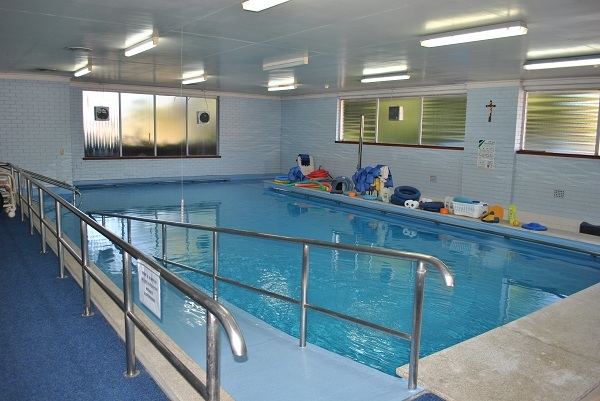 Hydrotherapy is also available as part of our Day Rehabilitation Programs.